A trip back in time with Dave Cherry. 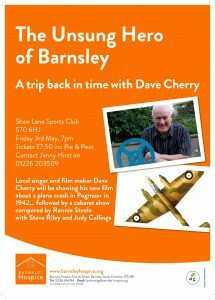 Local singer, historian and film maker Dave Cherry will be showing his new film about a plane crash in Pogmoor in 1942. Please contact reception about tickets for this event.